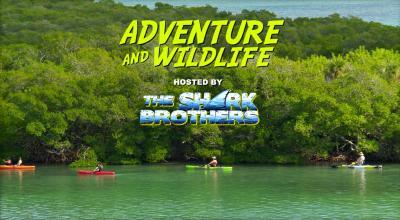 Join the Bureau as we debut Episode 2 of Adventure and Wildlife Hosted by the Shark Brothers on Thursday, April 20 at the Black Box Theater at Lemon Bay High School. This episode features Hooked on SUP, the Marine Sciences program at Lemon Bay High School, and Stump Pass Beach State Park. Who/What: The Punta Gorda/Englewood Beach Visitor & Convention Bureau will screen the debut of Ep. 2 of Adventure and Wildlife Hosted by the Shark Brothers. How: This event is free to attend and open to the public. We do ask is that you RSVP since seating is limited. RSVP here.